KATHMANDU, Dec 3: As negotiations between Nepali Congress and the Madhes-based parties to forge an electoral alliance flounder, Province 2 looks all set for a triangular race. Province 2, which has seen the Madhes movement, is a region with huge influence on Nepali politics and the economy. It is scheduled to go to polls in the second phase on December 7. Elections in the province have drawn widespread attention not only because this area has long been roiled in contentious politics but also due to the interesting nature of the electoral battleground here. Unlike the other provinces, the Province 2 is expected to witness a close three-sided contest among the national parties and regional parties. While UML and CPN (Maoist Center) have fielded common candidates, the Nepali Congress, which emerged as the largest party in the recently held local polls, has decided to go it alone. The three major parties are being challenged by an alliance of the Rastriya Janata Party Nepal (RJPN) and Federal Socialist Forum Nepal (FSFN), two Madhes-based parties that consider Madhes their home turf. The Madhes-based parties were initially planning to forge an alliance with NC, but they have met with little success at the negotiating table. "We tried our best to come up with an alliance but NC was not very accommodating. Now it's too late for any alliance," said FSFN Chairman Upendra Yadav. Despite its relatively better organization in the province, NC is still seen as an underdog because of the alliances of other parties. Elections in Province 2 are different from those in other provinces also because of the agendas set by the parties. While pledges of good governance, economic development, and social welfare dominate poll campaigns elsewhere, constitutional amendment is being projected as the main agenda here. All the parties have been putting in extra effort to cultivate voters by projecting themselves as the parties working in the best interests of Madhesi people. The Madhes-based parties have been framing the elections as a referendum on constitutional amendment. The regional parties have been urging voters to support them to ensure self-governance and constitutional amendment. "Our main agenda is to end the tyranny of anti-Madhesi parties and form our own government, at least in Province 2. And there is overwhelming support for this," said RJPN Presidium Member Rajendra Mahato. 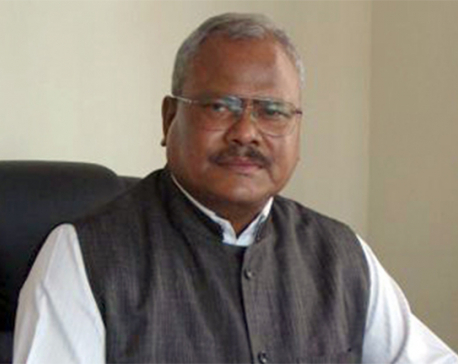 He claims that the alliance of Madhes-based parties is headed for a majority. The left alliance and the NC have also made similar claims to victory even as reports from the ground point to mixed outcomes. The NC also has pledged to amend the constitution if it is elected, but at the same time, it has focused on the issues of governance, development, social welfare and employment. Though constitutional amendment is not part of their official party agenda, leftist leaders on the ground have expressed their commitment to amendment. "Some parties are trying to tarnish our image, projecting us as a party that is against constitutional amendment. That is not true. The rightful concerns of people over the constitution will be addressed," said Maoist spokesperson Pampha Bhusal.